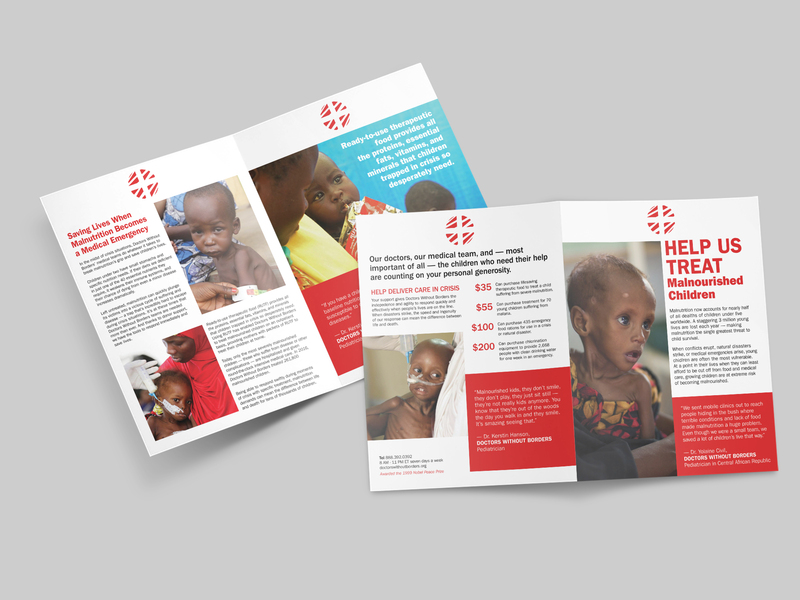 The objective of this project was to rebrand the organization known as Doctors Without Borders. 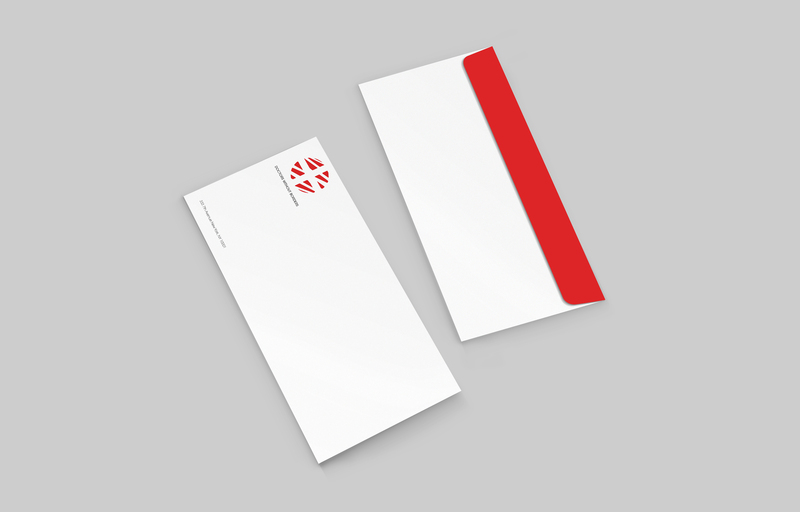 This included designing a new business card, letterhead, and envelope. 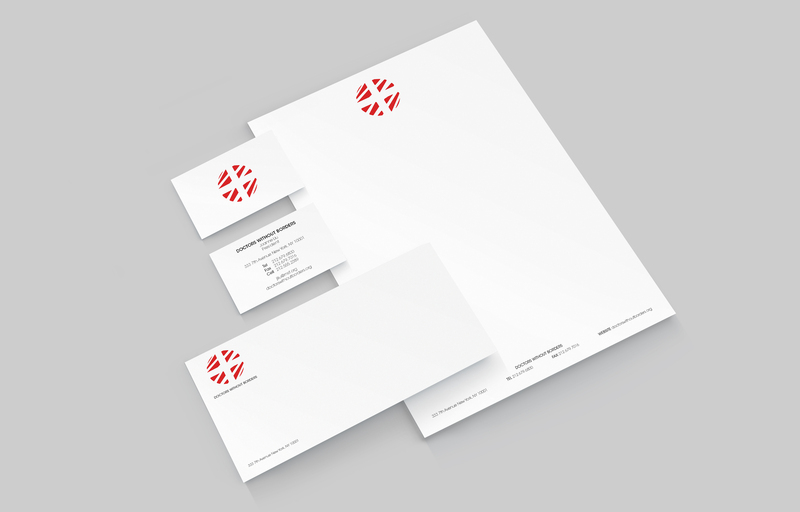 The redesigned logo takes inspiration from the organization&apos;s current logo and builds on it by converting its individualistic symbol into a global one. It translates Doctors Without Borders&apos; ongoing mission of medically assisting those in need while transcending any dividing barriers, or in this case borders. 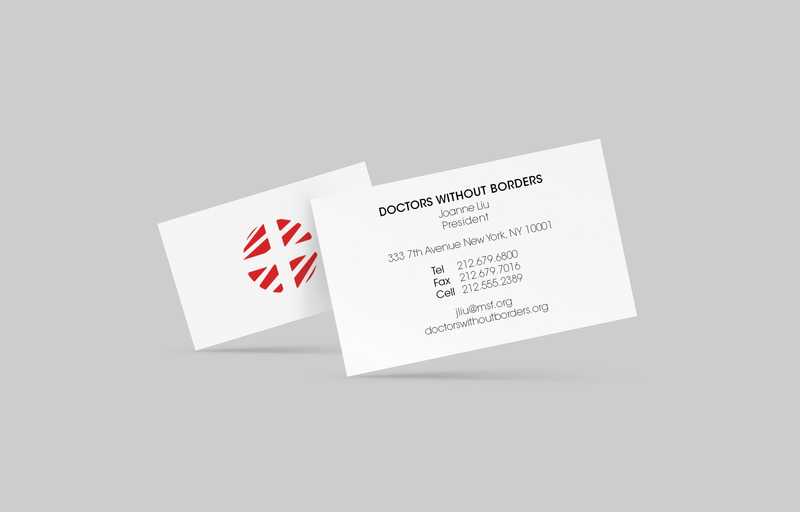 There were also redesigns of official Doctors Without Borders pamphlets utilizing the new logo. 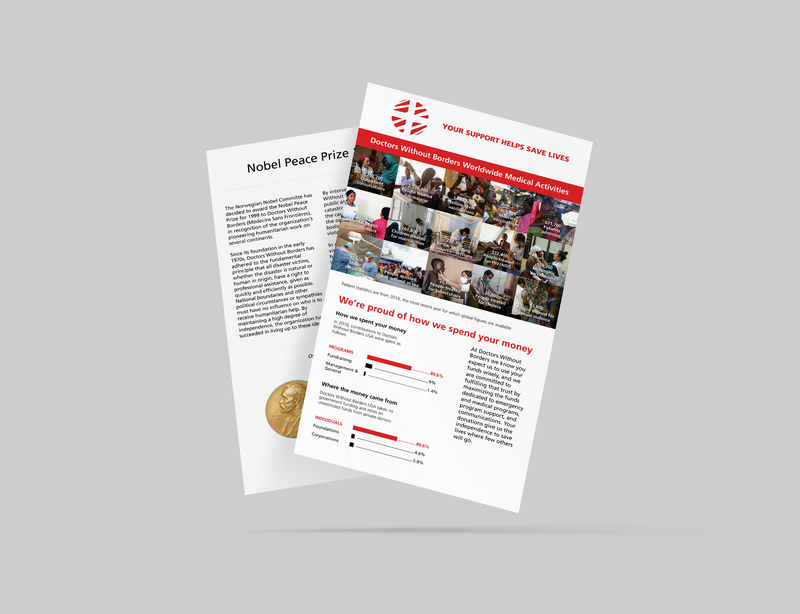 All redesigns include close attention to detail in translating the organization&apos;s call for global support.